Okay, so there is the missing material library, so far so good. However, the Maps library is still missing, and when I search for that, Autodesk apparently does not have a supplement download available for that, and it seems they do not even offer it for those that downloaded the program in the manner that I did (as opposed to those that have a running subscription). 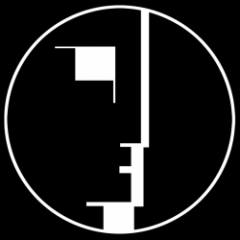 Does anyone know where I can download the Maps library? You should contact the Autodesk Education Community and ask them why your download did not include the material libraries. I was too lazy to put forth even that minimal effort:D so I just copied the libraries that the college has on their network drive (one of the instructors said they had to manually download and put those in there separately also). 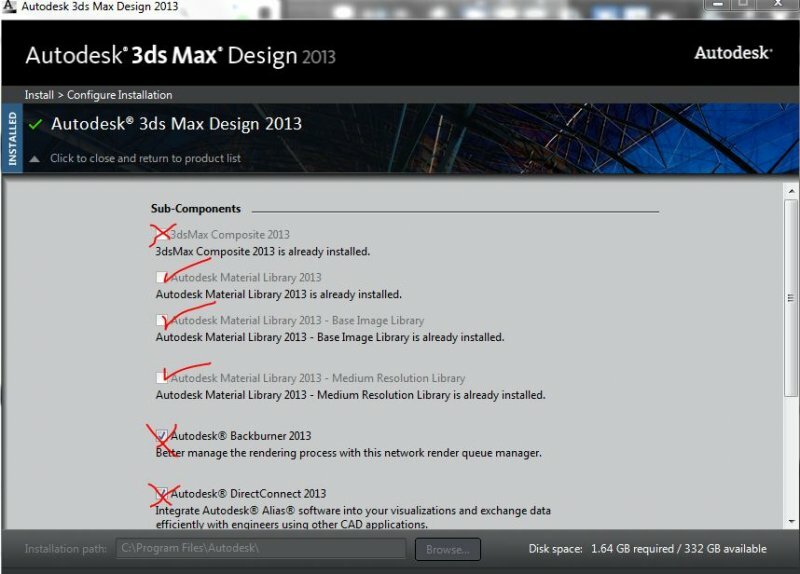 when you install it your suppose to configure your software during the installation..
by default the Autodesk material library is not to be installed.. you make the red X green by clicking it and then it will install the material library. Raudel, please post your replies without the condescending laughter and comments. You don't have to make people feel stupid for asking a question. Hey smartass. There weren't any "red x's to make green". I forgot exactly what it said and I don't feel like uninstalling and reinstalling it right now just to check, but I am pretty sure there wasn't a menu of options. It was - either "Install product now on this computer" (or something to that effect), or "Create Deployments" or something like that. After that point, there didn't seem to be checkpoints where I was required to check or uncheck boxes. It just did its thing. Checking around in other places, it seems like other people were having similar issues with the Educator/Student Licenses. once you click it will roll out and you will see this, do not be shocked! Check the following and the crossed out ones are optional. understood, I shall use an overwhelming amount of sarcasm from now on. You still don't seem to get it, so let me clarify. If you are unable or unwilling to be respectful to other members then please don't reply. Yes, I went through that screen. Except, the boxes that you noted to check were grayed out on my installation; they were locked out from checking for some reason. That's why I would contact Autodesk. We were on subscription at the last office where I worked, and we would download the new releases when they came out. It's been a while, but I'm almost sure there were two downloads. I'm thinking one was the software and one was the materials/maps. But, if you've already got the problem sorted out, I think we're done here? Yes, whatever the issue is, I worked around it by copying the complete libraries from my college, so yes, all done here. Thank you. Well guys the materials are perfectly loaded and there, you just need to click little triangle button (pulldown menu) on material/ map browser and click show incompatible.